Gone are those days when women were considered only to be vessels to give birth, a person to take care of the family and raise children. Today, women are no more the ones who use to stay behind the purdah and follow every order of the dominating males. They are making extraordinary achievements in every subject under the sky ranging from literature, law to rocket science. Now, women, while cooking food for their children and family, are also traveling to space. They are no way behind men, rather some are even ahead of the entire generation. Yet, their achievements are less appreciated and less valued than men in almost every aspect of life. The world has seen many powerful tech women like Sheryl Sandberg, COO of Facebook, Susan Wojcicki, CEO of YouTube and Meg Whitman, CEO of HP, yet the women are underrepresented in the tech industry. A survey suggested that women are less likely to pursue advanced high school major for a career in high-demanding tech-sector. Due to this, policymakers and experts often focus their attention on developing high school programs designed to bring up the interest in Science, Technology, Engineering and Math based subjects that graduates can pursue. Educationalists commented that high school is too late to start as by then most of the pupils have already made up their mind. By the time they reach high school, the teenagers usually have a concrete view of their interests and a clear picture of social norms about the continuum of workforce where men and women fall. Survey reports suggested that a girl from as young as six years old start to see their gender not as smart as boys and ultimately avoids career that is suited mostly for smart pupil. It was suggested by the educationists and experts that if the society crushes the gender social norms then the interest of the girls can be pointed early towards the tech industry. It is said by the child psychologists that if the interest is nurtured through the teenage years, then there will be more women in the tech industry. If this happens then people are to see more Sheryl Sandberg or Meg Whitman. Child specialists informed that every child is too curious to know but the adults and the society does not always lead them to the right pathway. 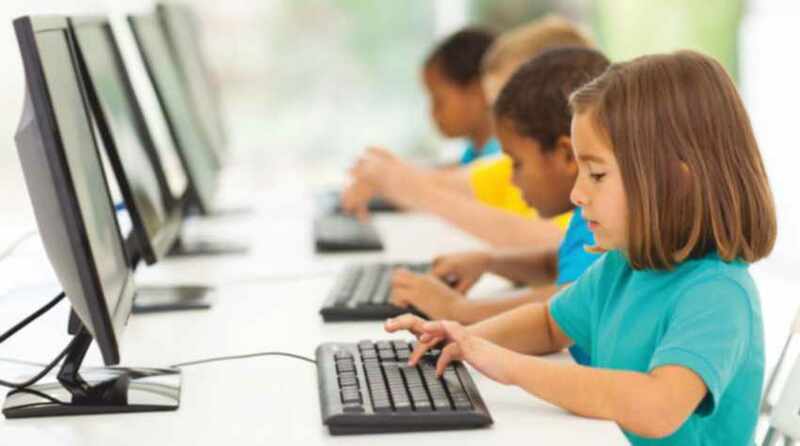 It is seen in various experiments that children exhibit huge amount of curiosity while learning computer science or computer coding. It is said by experts that if that curiosity is properly harnessed and properly directed towards the right path then the child will succeed in becoming a tech tycoon. Experts conducted an experiment and found out that activities like making one robot pink and another blue does not inspire children much, instead activities that could tap them into designing, thinking, writing and team building opens up multiple avenues for them to get involved and excites them to code a robot to kick a ball, shoot a basket, solve a social challenge and play hide and seek. As per a recent report, the Wonder League Competition featured more than 25,000 children, 44% of which were girls and two grand prize-winning teams comprised of six girls and one boy. It is quite encouraging to see that there has been an increase in the growth rate of girl participants in IT sector during last years. It is very much essential to see that the teachers and the parents look beyond the aims of computer science, coding or engineering. It is quite known that it is too difficult for a five year old child to understand complex things like computer coding but if it does not start from the kindergarten then there will no later chance to dissolve the gender barriers. The captivating interest in the crucial elementary years starts from a very young age and that leads more young girls to take up computer science as their high school and college majors to connect them to the ever-growing tech sector.